The Crab Shack has an excellent selection of menu items. Eat in or take out. We have indoor or outdoor dining available. Come on by and enjoy a wonderful meal cooked by the owners themselves. 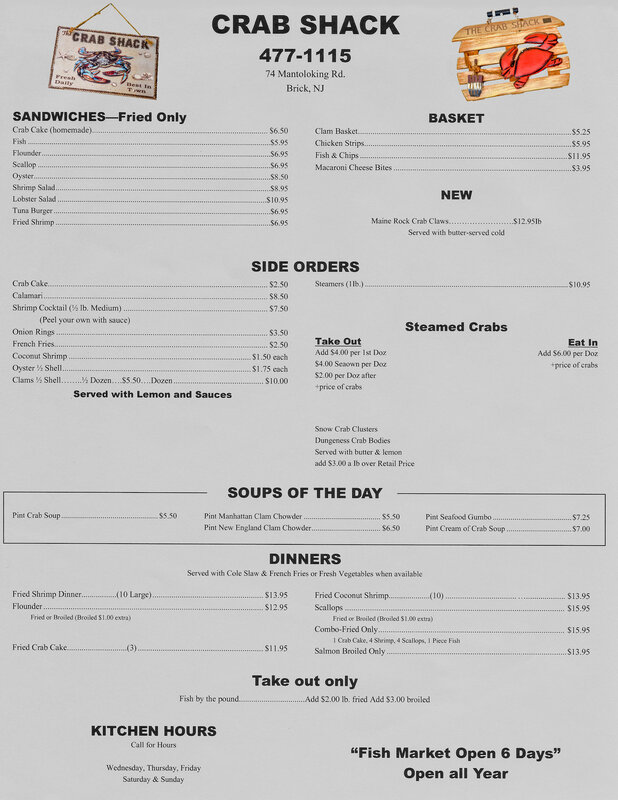 Viewing the menu may be difficult on a mobile device. Feel free to download a menu for better viewing by clicking HERE.